TALLAHASSEE, Fla. /Florida Newswire/ — On Wednesday, Fla. 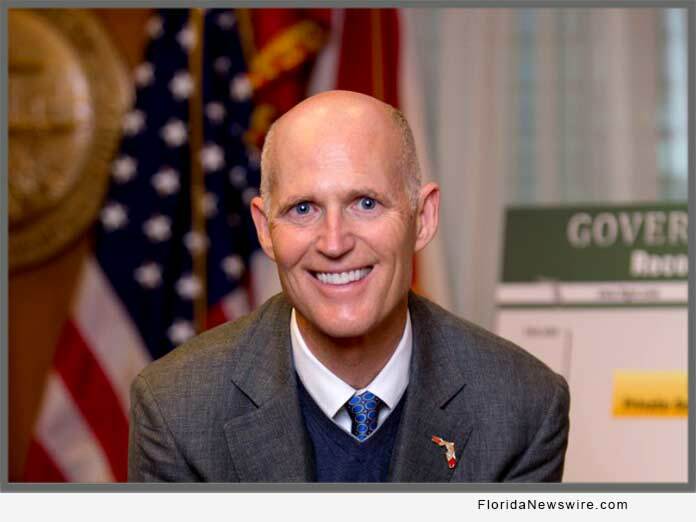 Governor Rick Scott announced that the Department of Environmental Protection (DEP) and the U.S. Army Corps of Engineers (Corps) have reached an agreement on a $50 million state investment to fund repairs to the Herbert Hoover Dike. This agreement follows a $50 million investment made earlier this year, bringing the State of Florida’s total investment in this federal project to $100 million. After decades of federal inaction, Gov. Scott fought to secure this state funding and secured a commitment from the White House to provide the federal funds to fix the Herbert Hoover Dike. The funding will accelerate critical repairs to the Herbert Hoover Dike surrounding Lake Okeechobee. Once completed, this project will reduce the need for harmful water releases from the Army Corps of Engineers by allowing more water to be stored in Lake Okeechobee. Last month, following a tour of the Caloosahatchee River, Governor Scott issued an executive order declaring a state of emergency in Glades, Hendry, Lee, Martin, Okeechobee, Palm Beach and St. Lucie Counties to help combat algal blooms caused by the harmful federal water releases from Lake Okeechobee. More information on the emergency order can be found HERE. Also, in June, Governor Scott visited the South Florida Water Management District and ordered DEP to take emergency actions to redirect the flow of water out of Lake Okeechobee to the south.